Improving the health of your soil benefits your plants, soil microbes and the environment. When soil is exposed to environmental conditions such as heavy rain, wind, and drought, soil erosion is inevitable result. Heavy rain displaces soil and makes it more prone to drift during bouts of high wind. Drought also causes soil to be blown away and displaced when high winds come along. When healthy plant roots aren’t in place to keep your soil in place, valuable topsoil is lost. But did you know that the depletion of organic matter is another cause of soil erosion? 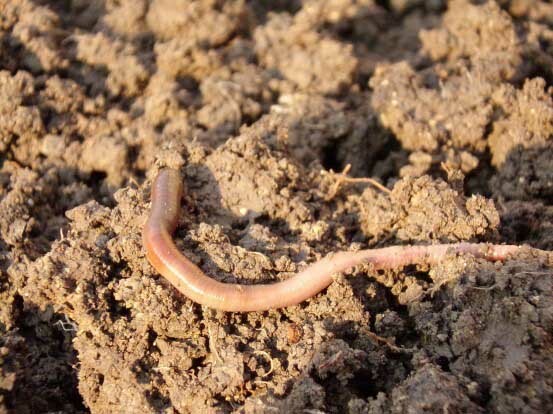 Healthy soil is home to earthworms…your garden’s best friend. Why is soil erosion bad? When healthy topsoil erodes away from your lawn and landscape you lose important minerals and plants. Heavy rains that cause erosion leave roots exposed which can cause problems and stress for your plants during the summer. Extreme soil erosion can be bad for your home’s foundation. Besides being bad for your landscape, soil erosion can pollute and clog waterways and potentially cause flooding. When the soil is left bare in your landscape for extended periods of time, its health will decline. Exposed soil cannot protect or conserve organic material or the microbial populations that consume it and break it down. Just as heavy rain and flooding can leach away nutrients and wash away bare soil, organic matter is also lost when bare soil is exposed to hot temperatures. Excessive heat speeds up the decomposition cycle in the soil, depleting organic matter. It can also kill microbe populations if the bare soil is not shaded by plants or mulch. 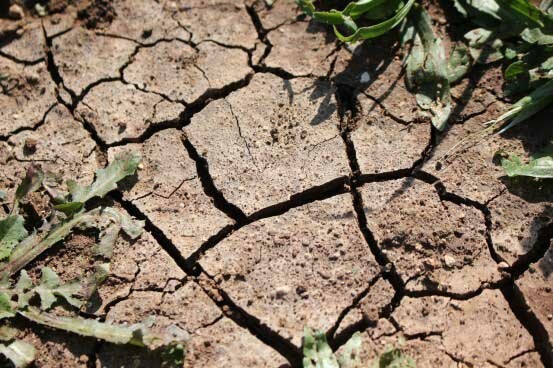 Our heavy clay soils are prone to cracking after periods of heavy rain, followed by dry heat. If you let your lawns become bone dry during hot weather, organic materials and microbes will decline quickly. Good cultural care of your lawn and landscape is the best way to prevent soil erosion and loss of organic matter. Proper watering is key, and adding mulch to all areas of bare soil will help prevent damage to the soil. It’s a common sight to see cracked soils in the summertime here in North Texas. It’s easy to just come to the conclusion that the soil is just dry; but cracked soil is also a result of our heavy clay soil structure. Clay soil has tiny particles that bond together which can make it difficult to cultivate (you know this if you’ve every tried digging a hole directly in our native soil). When clay is wet the particles swell, pushing out oxygen and filling up all the air pockets, the particles essentially stick together. As the soil dries back out the clay particles remain stuck in place leaving open cracks in your soil. With good cultural care and organic amendments you can break down some of the clay and improve your soil’s aeration and moisture retention. While you might think that’s hard to do for the soil in your lawn, remember that there are both fine textured and liquid organic soil conditioners that can be spread on lawns to improve soil structure and bioactivity. Remember, the foundation of a healthy and beautiful healthy soil equals healthy, beautiful, long lived plants. Feed the soil and it will feed your plants!